The next Nordic Design Conference will be held at KADK and K3 in Malmö, June 9-12th 2013. The deadline for contributions is extended until January 10th 2013. We invite workshop proposals that enable designers and design researchers to explore the many aspects of design research as experimental practice in a workshop setting. Workshops at Nordes 2013 will enjoy a central position. The ambition is to create common experiences and to provide different kinds of platforms for exchanging new ideas. A day in the middle of the program will be reserved for workshops and all conference participants are expected to take part in at least one workshop. We especially invite proposals where the format encourages active participation by the workshop attendees or which demonstrates new ways of how experiments can be explored in a workshop setting. A workshop can, for instance, take the form of on-site enactments, excursions, tutorials, studios, discussion sessions, etc. Submission: A workshop proposal should be maximum 2-3 pages and state its purpose, a tentative programme for the day (or half a day), how attendees are accepted for participating in the workshop (e.g. through artifacts or position papers, or just by signing up), requirements for to physical setting (see Venue) and materials (see Practical issues). Venue: The workshop venue in Malmö will be at STPLN. It is located in an industrial building, recently renovated, in the old harbour area, which is going through a massive conversion towards becoming a residential and office neighbourhood. The building is run by a NGO (STPLN) as a facility for diverse activities, from concerts to building robots, from office work to skate-rollers training. The space can be looked upon as a platform for opening production, since it is giving individuals and small organizations the possibility to engage in production processes and prototype ways of generating goods and providing services by sharing facilities and collaborating. The space has two floors; on the basement there is Fabriken, the actual workshop, with some fabrication machines, hand tools and equipment to work with electronics. Fabriken is also hosting other initiatives: a bicycle repair workshop (Cykelköket), a textile corner (Tantverket) and a material bank of cast-off materials (Återskapa), which organizes activities for children and adults to foster creativity and environmental awareness. At the ground floor there is a venue for concerts, a quite big kitchen and another big room that during working days hosts a co-working facility (HUBn). 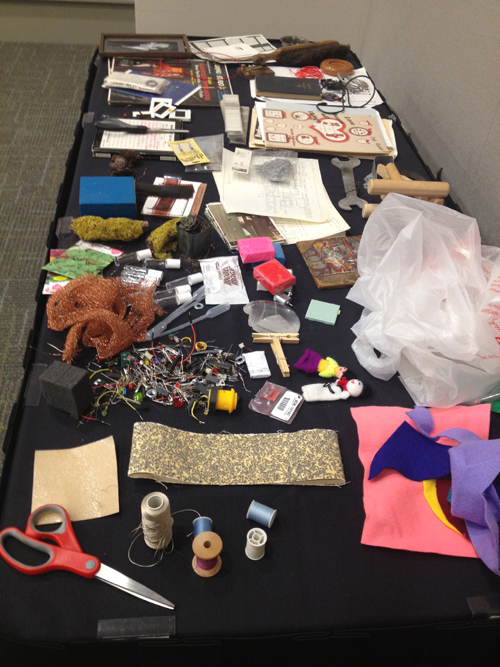 Practical Issues: Workshop organizers must be prepared to bring all necessary material for the workshop. The review process will include negotiations about requirements for the physical setting and materials.